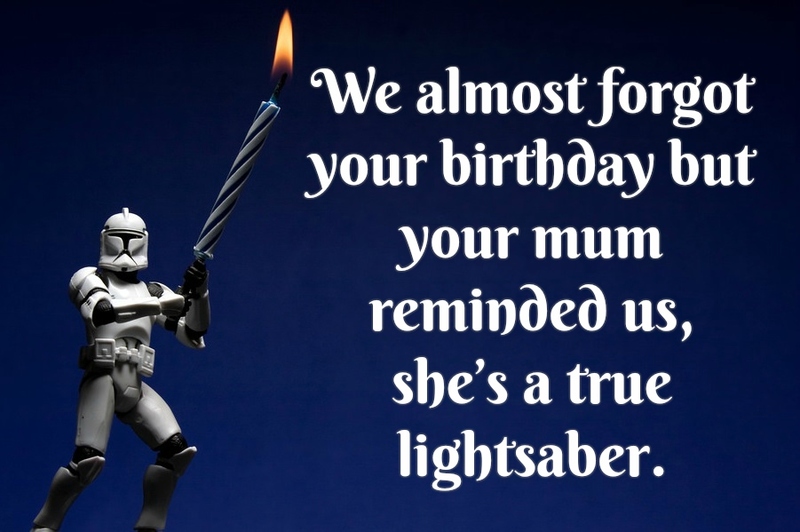 We almost forgot your birthday but your mum reminded us, she’s a true lightsaber. 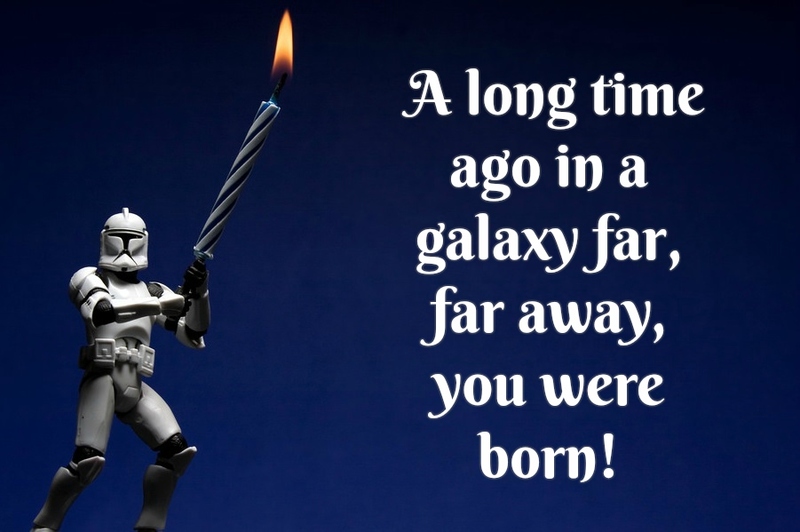 A long time ago in a galaxy far, far away, you were born! 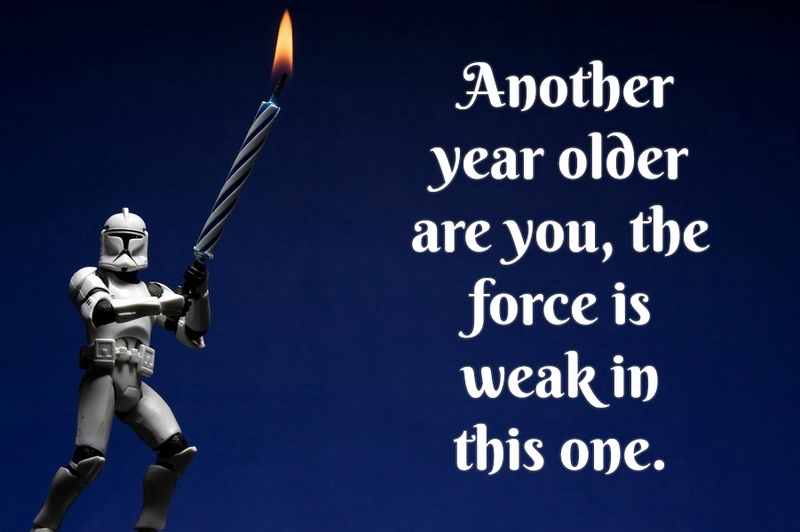 Another year older are you, the force is weak in this one. I assure you, Lord Vader. My men are working as fast as they can to make this an awesome birthday. The Force is strong with you. A powerful Sith you will become. 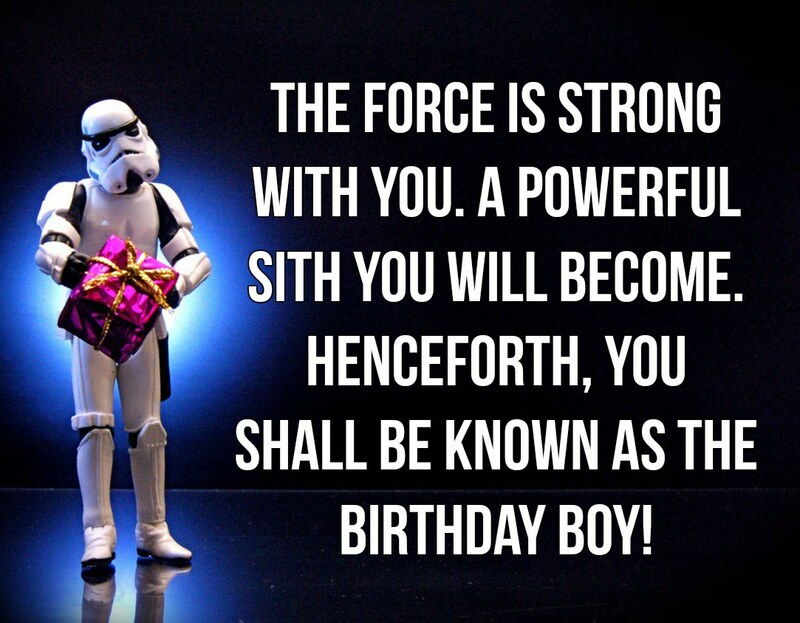 Henceforth, you shall be known as the Birthday Boy! 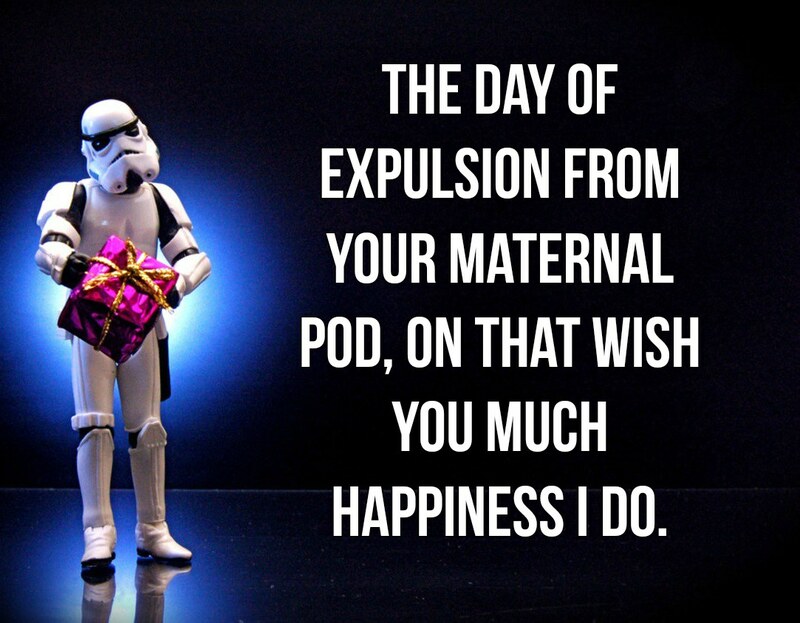 The day of expulsion from your maternal pod, on that wish you much happiness I do. 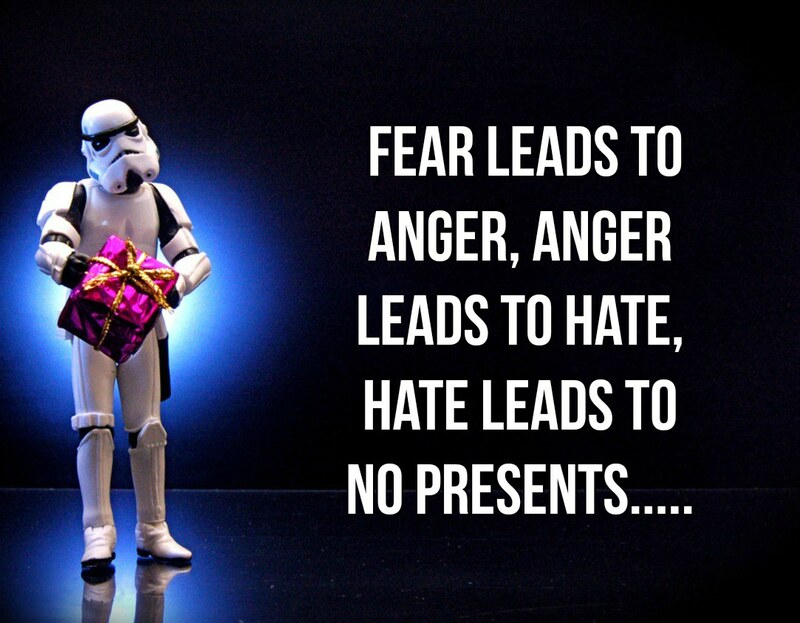 Fear leads to anger, anger leads to hate, hate leads to no presents…..
May the force be with you… unless it is the police force. 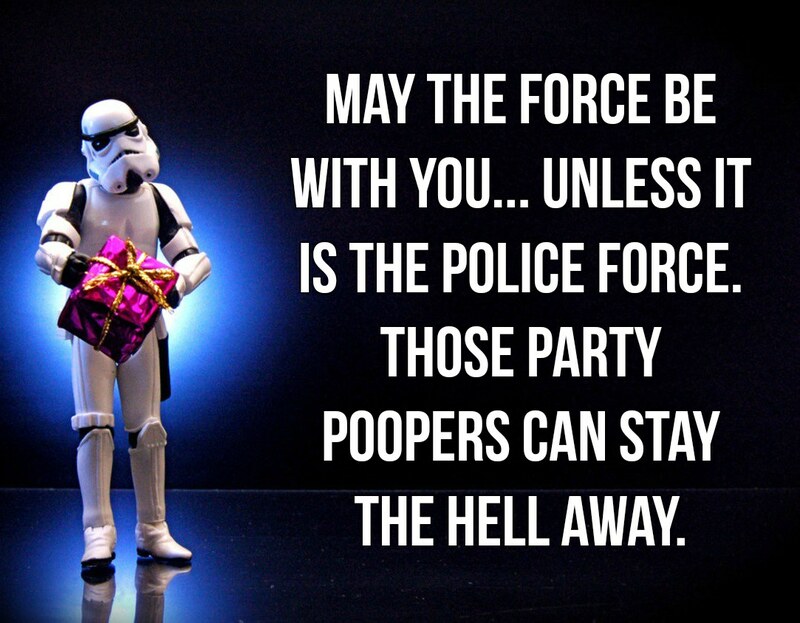 Those Party Poopers can stay the hell away. 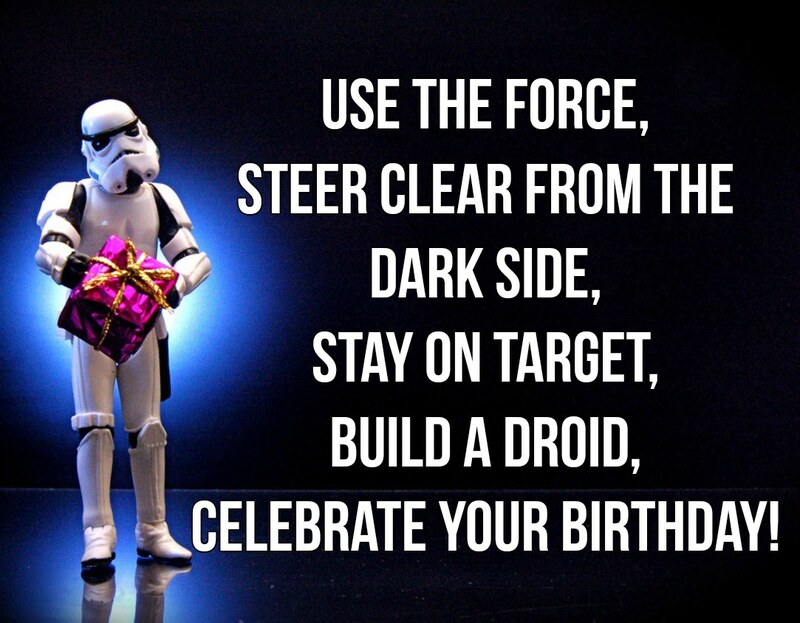 Use the force, Steer Clear from the dark side, Stay on target, Build a droid, Be mindful, Celebrate your birthday! Birthdays aren’t just normal days. It’s a once in a year event to commemorate your natal day— the moment when you opened your eyes to the consciousness of life and had your first cry. Birthdays are such magical moments that mark the beginning of your life on earth. And there are seriously different ways to make this day special, from a funny costume parties to solemn dinner dates. And if you want to pump up this rather unique day of your life, you will never go wrong with movie themes. One of the most or could be the greatest birthday theme is Star Wars. Well, Star Wars movies are downright classical and if you and your family and friends are so into these films, then the entire clan will be happy on such special day. But aside from the the decorations, costumes and food, some Star Wars Birthday Quotes are also very important. 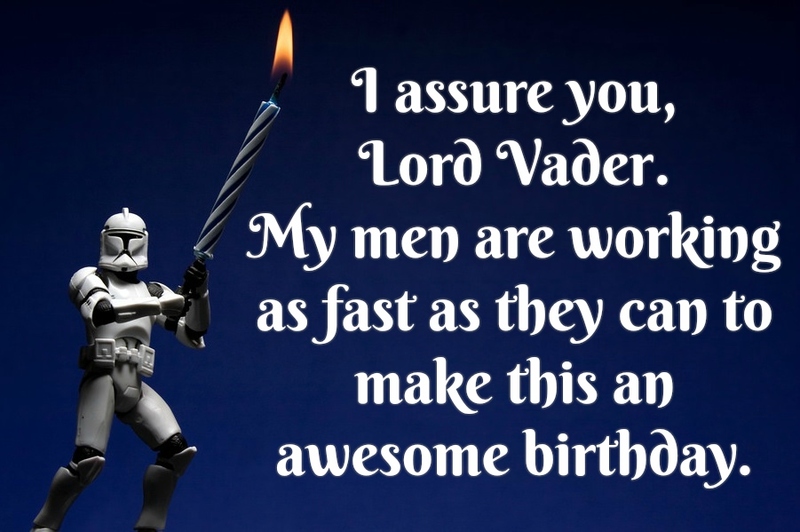 So to make it easier for you, we’ve already rounded up the best of the best Star Wars quotes you can use on a birthday celebration. This witty collection will help you become part of the mythical Jedi, or if not, be the Jedi birthday grand master of all! Sounds appealing, right?